In Herat the shrine to Shahzada Qasim, a descendant of the Prophet Muhammad, is more than a thousand years old. One day of each week a section is partitioned so women can come to worship. Cordoned off to create a sanctuary for women, these prayer sections seem to me like some of the safest, most intimate places in the country. 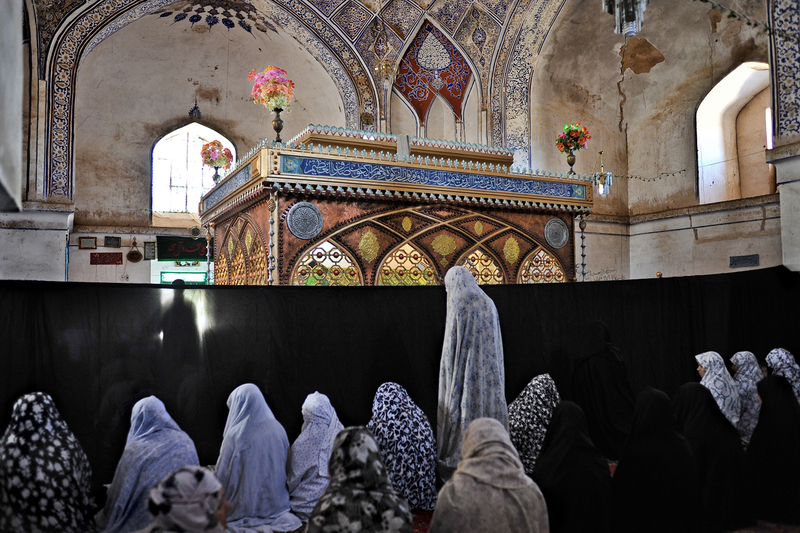 The women at the shrine in Herat are enveloped in chadors that cover them from head to foot, influenced by the style favored in neighboring Iran. In this shrine and in shrines throughout Afghanistan, some of the women weep uncontrollably. I always wonder why they are crying. Perhaps because of the deeply emotional nature of public prayer and the holiness of the place?